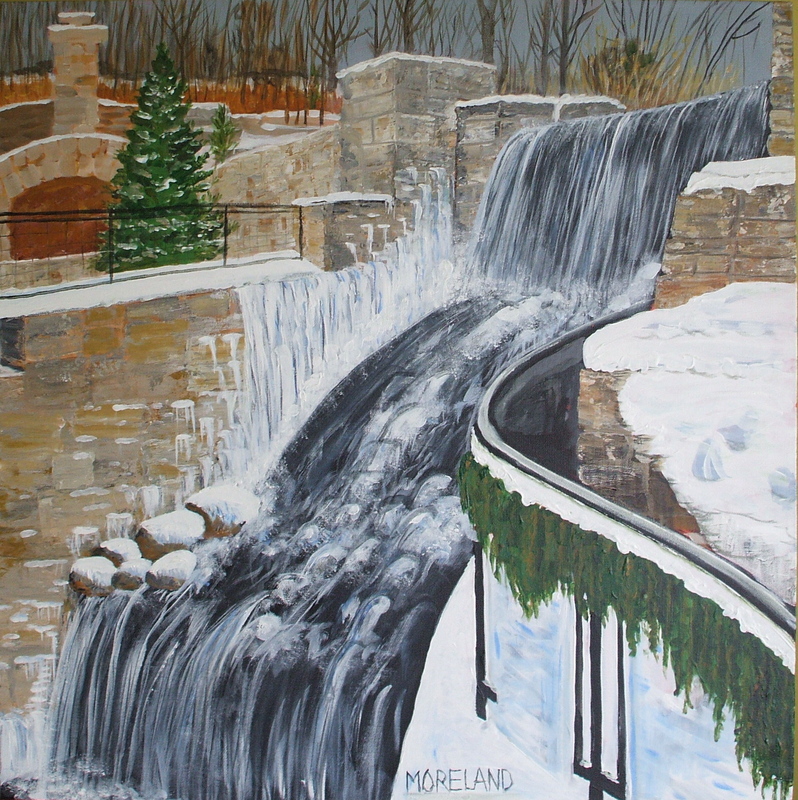 I have adjusted this painting, and the title, because I visited Ancaster Mill on March 12, 2012 and found that my perception of the fireplace was wonky. I also found that this beautiful scene is actually a fantastic reconstruction by a landscape firm because the old falls itself was left in a bad state because of sloppy human intervention. So here it is again. Thank you to Bill Watson, of Hamilton, for allowing me to use his photograph. Beautiful painting. Glad to be home and on the computer to see it.